There is a new Pokémon anime series. It’s based on the upcoming 3DS title Pokémon Sun and Moon and called, wait for it, Pokémon Sun and Moon. 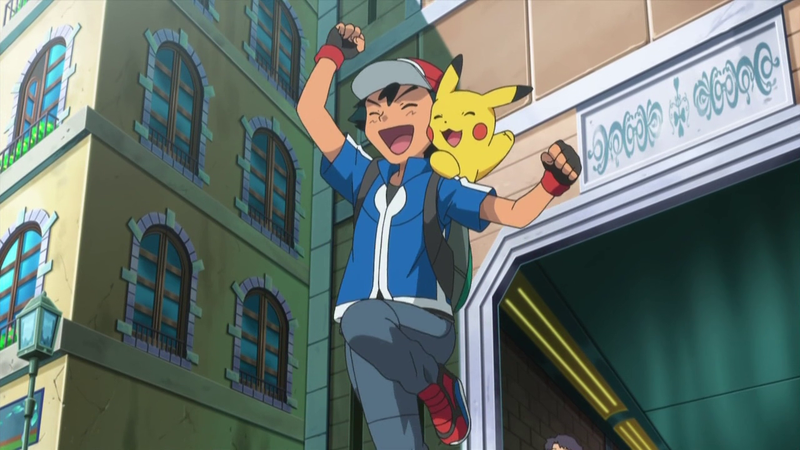 While this might seem like just another Pokémon anime, there’s a big difference. Ash is going to school. Ash Is Going To School!! It’s the start of student life that hasn’t existed until now. Is he aiming for graduation?! Now that I think about it, there might have been a couple episodes that take place in a school or in a summer academy, but I don’t think we’ve gotten much more than that. The scan, which hasn’t yet been confirmed, also mentions that we’ll meet lots of new characters. Well, yeah! But does this mean if Ash is now focusing graduation, that he’s given up his dreams of becoming a Pokémon master? Doubt it! But since he’s such a loser, school might be his best bet.